The Ofi Press Magazine - Gouda, S.
Sayed Gouda was born in Cairo and moved to Hong Kong in 1992 where he currently resides. He did his undergraduate studies in Egypt and China, majoring in Chinese, and received his PhD in comparative literary studies from the City University of Hong Kong in 2014. His research interests include comparative poetics, comparative literature, comparative cultural studies, and prosody studies. Gouda is a published poet, novelist, and translator. His works and translations have appeared in Arabic, English, Chinese, French, German, Spanish, Macedonian, Uzbek, Romanian, and Mongolian. 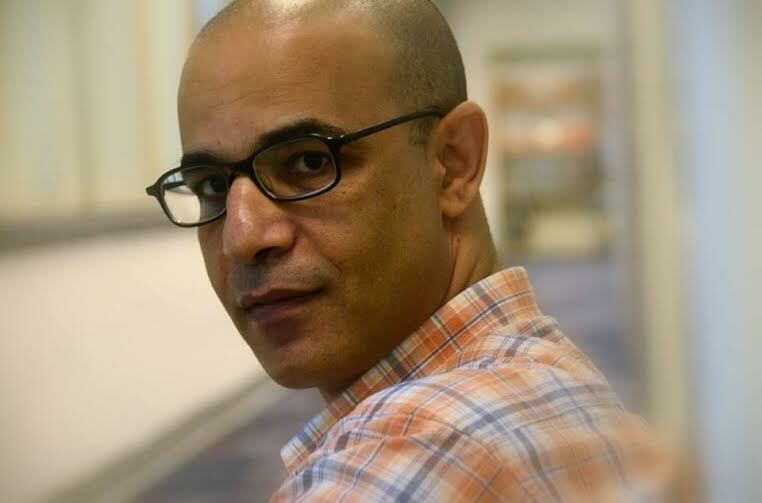 He is the editor of a literary website called Nadwah that features five languages: Arabic, Chinese, English, French, and German (www.arabicnadwah.com/index-english.htm). From 2004 to 2010, he organised a monthly literary salon in Hong Kong. He has also participated in many international poetry festivals and academic conferences around the world. In 1990, Gouda won first prize in poetry from the Faculty of Languages (al-Alsun), Ain Shams University. In addition, in 2012, he was awarded the Enchanting Poet Award by The Enchanting Verses Literary Review, and in 2014, an honorary prize for his poem ‘Night Train’ from Shijie huawen shibao 世界華文詩報 (Journal of Chinese World Poetry). - I’ll talk about the role instinct plays in my poetry. To some poets, it plays a little role or almost no role at all. For me, instinct plays a major role that I don’t see how I can write poetry without it. Of course, I can write a poem at will by using my writing skills and knowledge of rhythm and experience in toying with words. But this poem will never be close to my heart and I will not include it in any of my collection because it lacks this poetic instinct that gives poetry fluidity, spontaneity, and its natural essence. Sometimes, I write what I don’t understand at the moment of writing. It only makes sense to me later when it transpires in reality. I have a poem called ‘Prophet of the Poets’ in my latest collection In the Quiet of the Night. The poem angered one of my readers because he couldn’t see the connection between poetry and prophecy. In my viewpoint, prophetic instinct and poetic inspiration are both integral parts of my poetry. 2. Can literature ‘make a difference’? - Yes, it can make a difference, but we should not be over optimistic. After all, it won’t change the world. Otherwise, it would have changed it long time ago when there was a better literature and better writers. It’s good enough to start with ourselves and let good literature turn us into better humans and see in ourselves the change we want to see in the world. 3. What role, if any, does faith play in your writing? - My Islamic faith shows clearly in my poetry. Islam has a long and rich tradition in pairing faith and poetry. The culmination of this paring shows in Sufism. This Islamic mysticism has its bearing on my poetry. One needs to be well-versed in Islamic culture and Sufism in order to detect the Quranic allusions and decipher the Sufi symbols in my poetry. But of course, this does not mean I write in order to defend my faith or anything like that. There is no scholasticism in my poetry. 4. What are your strongest markers of your identity? - I have multi identities. I’m Muslim by religion, Egyptian by ethnicity, Arab by culture, Hongkonger by citizenship, Egyptian and Chinese by Nationality. Identity is a multi-dimension concept. One dimension is not enough to represent the depth of this concept. All these dimensions blend into each other and it’s difficult to separate one element from another. They all shape my identity. However, because poetry cannot be imagined without language and because I’m an Arab poet, I find that my Arabic and Islamic culture is the strongest marker of my identity. 5. Where is ‘home’ for you? How does this impact upon your work? - It’s a broad concept. No one chooses one’s homeland in the same way no one chooses one’s own parents. This is different from the home one can adopt. My adopted home is where I can have freedom, peace, justice, and where my human dignity is respected. Unfortunately, none of these is observed in my homeland, Egypt. So, I had to adopt another home and live in Hong Kong. The impact is deep because even though I don’t live in my homeland, it always lives in my heart and I’m connected to it at least spiritually. My reader can easily trace this nostalgia in my poems and novels. 6. With everything that we see in the news these days; the violence and destruction, is it all doom and gloom? Where do you think we’ll be as a species at the end of the century? - Indeed, everything around us now is violence and destruction, doom and gloom. Sometimes, I stop reading and watching the news for a few days just to give my nerves a break. I don’t know where we’ll be at the end of the century. I don’t think I’ll live that long to see what will happen to the human race. The thing is we must end this madness before it ends us. I think we need to cultivate both our minds and souls. Knowledge only is not enough because if there is no living and upright conscience behind it, it would be used for evil ends. We need to nourish both our minds and souls in order to strike a balance between rational education that is based on universal values and spiritual purification that will save us from our own evil desires and self-destruction.